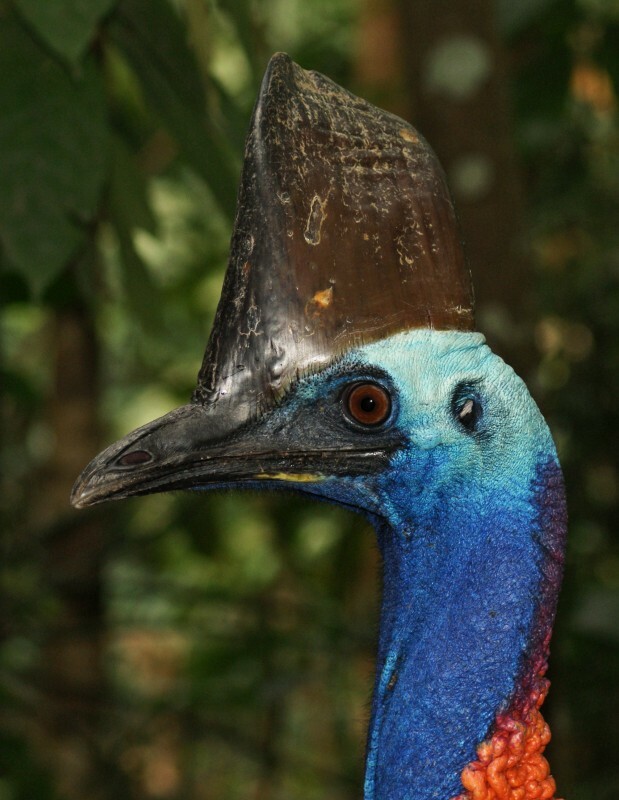 The Southern Cassowary is the largest Australian bird (up to 85 kg and 130-170 cm in height) and a relative of the Emu. 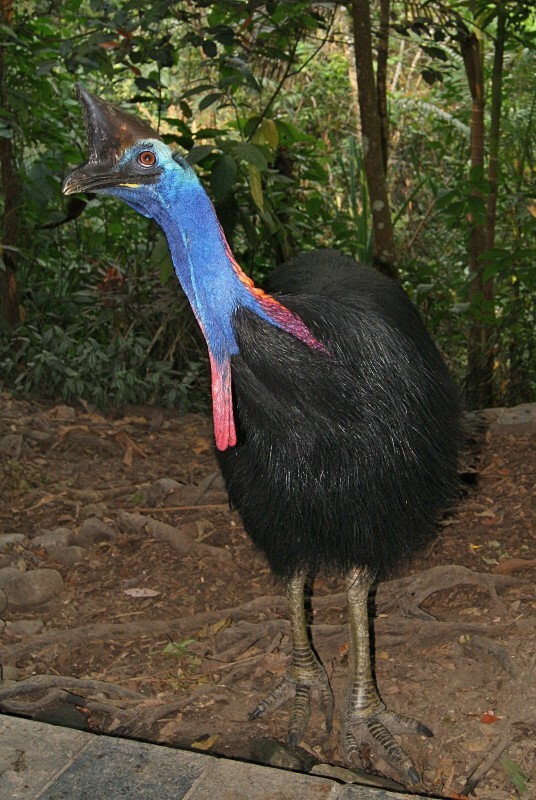 Like the Emu (and other ratites, such as the Ostrich and Rheas), they are flightless with their feathers being very long and used for insulation, rather than for flying. The feathers are bifurcated, meaning that the shaft of the feather splits into two along its length. The female (of which this bird is one) is more brightly coloured thatn the male as well as being more dominant. The chicks are raised by the males with the females taking no part after the egg has been laid. 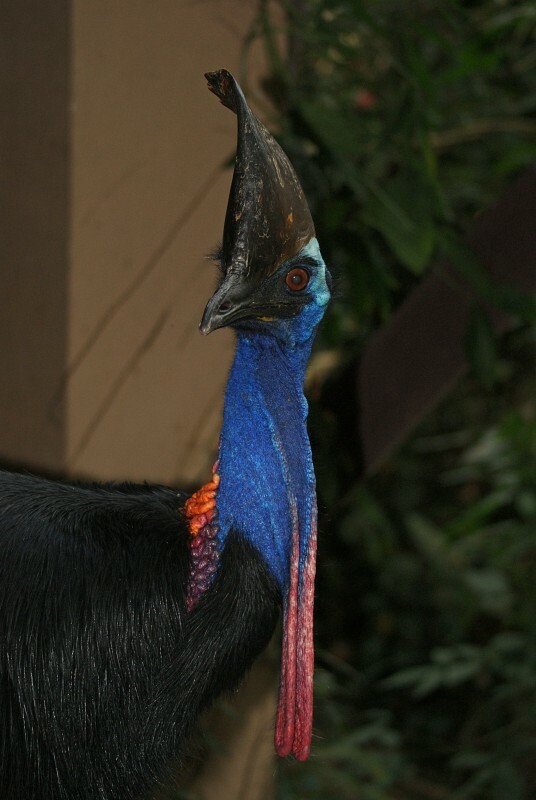 This particular bird is a long-time visitor at the famous Cassowary House in Kuranda and is called Missy. 1-3: Cassowary House, Kuranda, Qld, 15/10/2011.